Normally, we think of the summer as being the only season boasting blockbusters, but it’s important that we not forget how huge this fall will be when it comes to superhero movies. Not only do we have Justice League to look forward to, but there’s also Thor: Ragnarok, which brings the Odinson’s journey in the Marvel Cinematic Universe thus far to a head. Though the film is still pretty far off – with a November 3rd release date locked in – it’s a big project for the studio given that the first two Thor movies are often regarded as some of the MCU’s weaker efforts. As such, there’s a lot of pressure on Taika Waititi’s threequel to turn things around for the God of Thunder and understandably, Marvel is doing everything in their power to make sure that the third time’s the charm for the hero. How exactly it will set up the events of Joe and Anthony Russo’s superhero extravaganza remain to be seen, but what we do know is that the galactic threequel will have the God of Thunder embark on his craziest adventure yet. 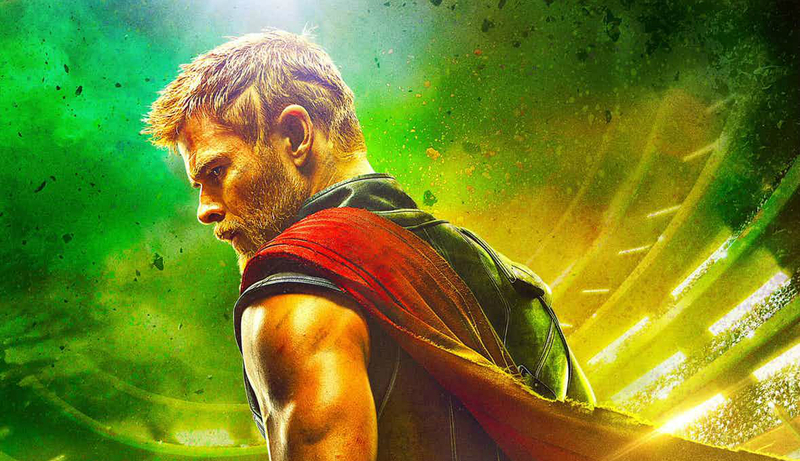 Soon after Hela (Cate Blanchett) brings Asgard to its knees, Chris Hemsworth’s Avenger is banished to some far-flung corner of the universe, where he’s forced to fight in a gladiatorial arena aboard Sakaar. It’s here, a million miles from home, that our hero encounters an old frenemy in the form of Mark Ruffalo’s Incredible Hulk. “We know each other! He’s a friend from work.” Cue the fireworks. On November 3rd, Thor: Ragnarok will push Chris Hemsworth’s Norse god to the absolute brink, shattering Mjolnir into a million pieces in the process. Taika Waititi is behind the lens for this one, who has continually impressed moviegoers through the likes of What We Do in the Shadows and the really rather excellent Hunt For the Wilderpeople. As such, we’re definitely excited to see what he’s done with the upcoming threequel.